status as a hub for activities of all kinds. The park includes the outside grounds surrounding the building and our playspace that was replaced in June of 2016. Free for members and non-members to use! 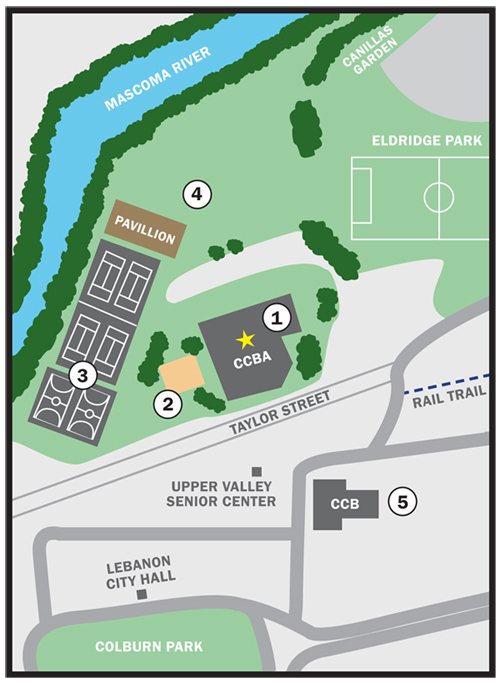 This includes the pavillion, river walk, field and garden. It is home base for our summer day camp and where we host our annual fundraiser “A Tasteful Evening”. The pavillion is available for rent for your next event. the site for our Kids on Kampus after-school program.